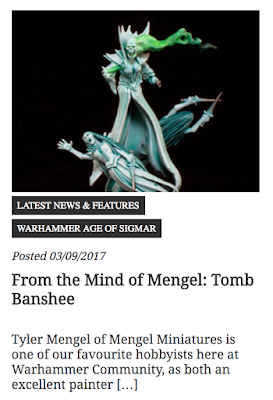 As you may, or may not have seen already, I had an article published on the Games Workshop Warhammer Community Page yesterday. That Banshee conversion you've seen me working on for the past month or so but then haven't heard anything on for a few weeks has materialized out of Shyish over on the Community Page in all her Deathly glory. This will be an ongoing thing now, with me contributing articles to them on a regular basis. This is, of course, fantastic news, both for you and me! It's a huge honor to be able to bring you some of my hobby content straight through GW. If I could go back in time and tell myself roughly three years ago when I really started dedicating myself to Mengel Miniatures that this would be the outcome, there's no way I would have believed it. 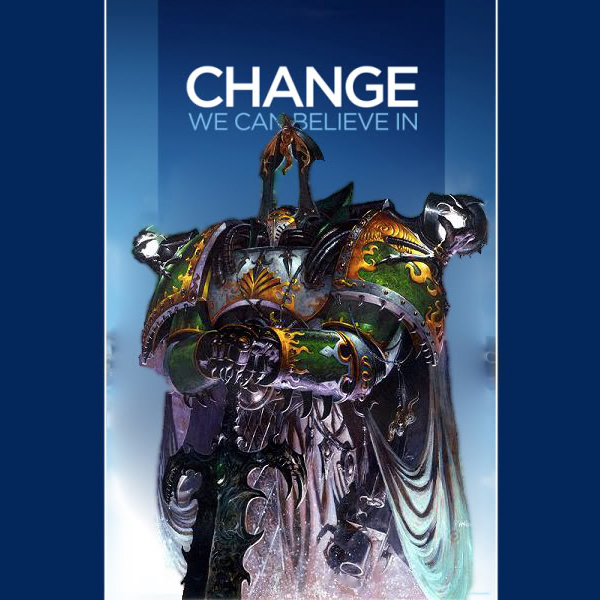 Not only that, but as you may have heard from a few different places, I am also now on the Age of Sigmar play test team with the rest of the Faithful as part of their American team alongside Alex from Garagehammer, Brad (Rhellion), and Domus! All in all, this has been a pretty fantastic year for me hobby wise, ticking a few boxes off the hobby goals list. I'm super excited to be working with GW in both of these ways; bringing you some cool hobby content through the Community Site and helping with the future of AoS. Now, some of you may have been waiting for the "but" and here it is; all of this takes a lot of time. Besides just my own personal hobby, I also have a full time job (sadly unrelated to the anything hobby-esque), Mengel Miniatures to run, providing quality articles to the Community team, and play testing Age of Sigmar, plus all the other non-hobby related stuff in my life. So something has to give. I'm not shutting down the website, so don't worry there! At the moment I am posting every Monday, Wednesday, and Friday, and in the near future I'm pretty sure I will be cutting back to only two times a week instead of three. Most, if not all of my tutorials, galleries, and other directly miniature related stuff, at least for AoS, will be moving over to the Warhammer Community Site. I will still be posting my Mini of the Week every Friday, as well as my reviews, battle reports, event coverage, thought articles, most 40k related stuff, and anything non GW here. So, that's still a lot of content! I am going to try and continue on with three posts a week for the moment, but in the future it may whittle down to just two. So basically, there may not be any change on here for awhile, but don't be surprised when there is. 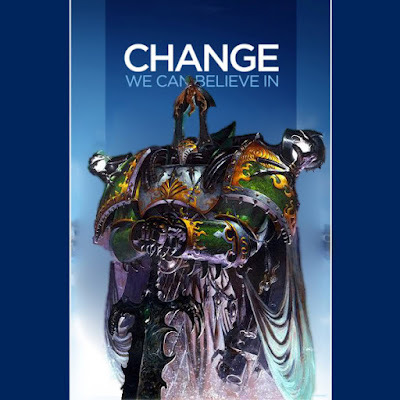 Make sure to check out my articles that will be going up on the Warhammer Community Page as well. I will be sharing them all over social media when they go live and I'll find a spot to put a link into my rotation on here as well, probably on Fridays with the Mini of the Week.